Take Us Along With You! 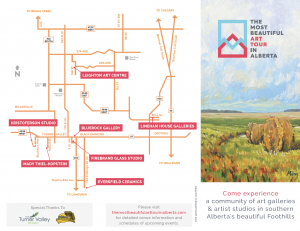 Whether you prefer to be offline or don’t want to worry about any trouble with cell service, print out our The Most Beautiful Art Tour in Alberta brochure before you hit the road. You can also pick up a copy of the brochure from any of the venues along the route! Click the image below to open the brochure PDF. Hungry? Or Want to Stay Longer? All those great views, inspirational art and fresh air can really work up an appetite. 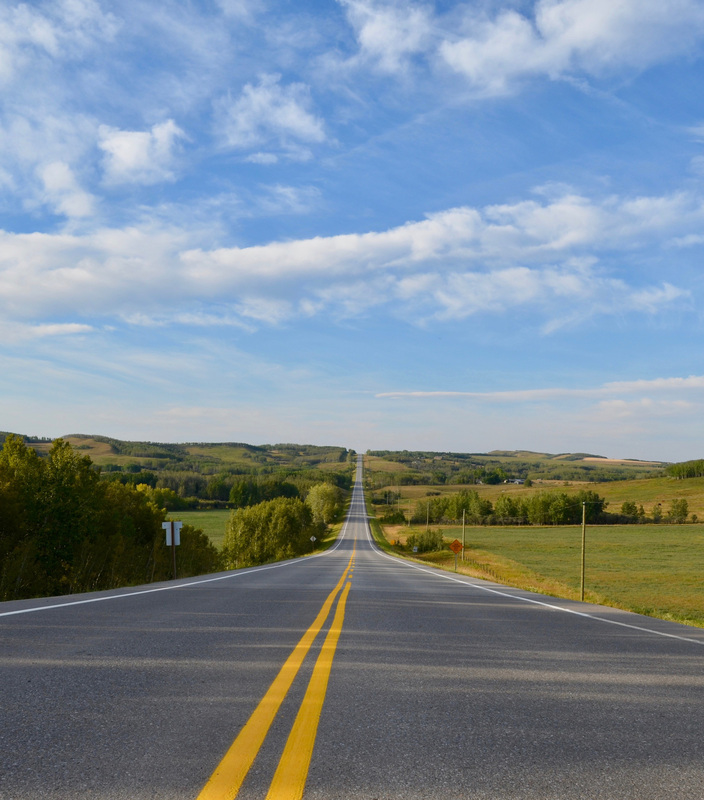 Happily, the Foothills region is home to some great eateries… and places to stay, if you want to extend your visit. Whatever you’re in search of, TripAdvisor or Yelp can probably help!